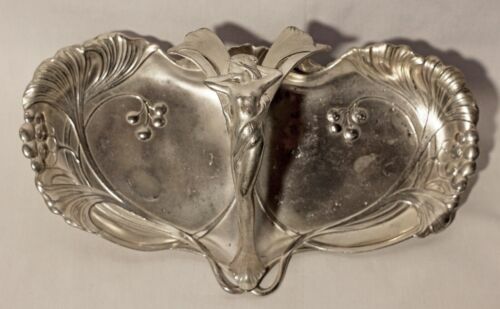 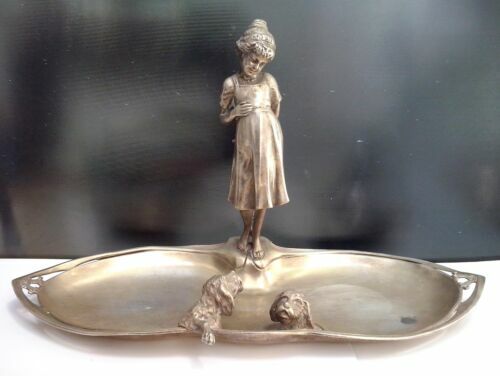 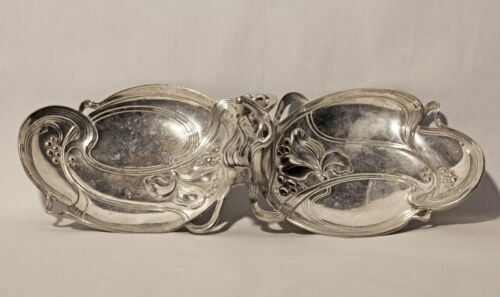 $1250.0 GERMAN WMF ART NOUVEAU Silver Plate Centerpiece Girl with Two Dogs Very RARE!! 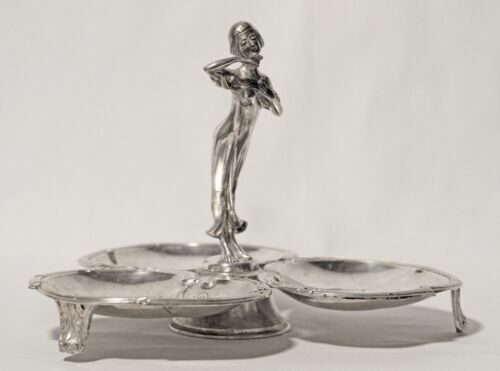 $1990.0 AMAZING WMF ART NOUVEAU Silver Plate Lady of Justice Themis Original Glass RARE! 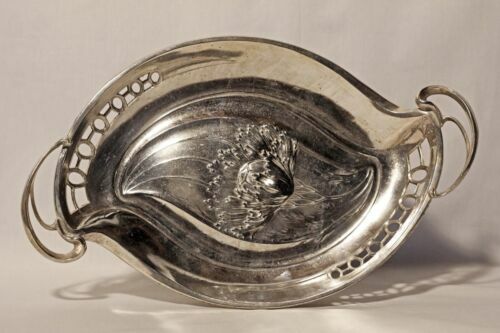 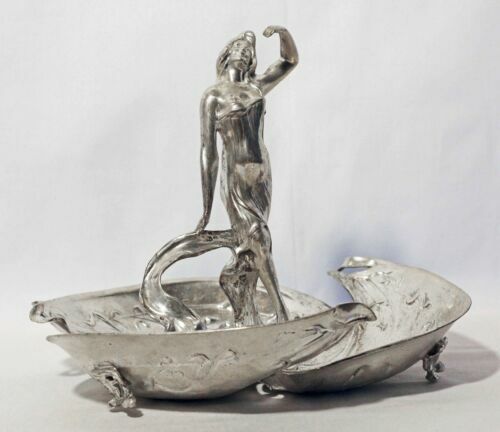 $2490.0 WONDERFUL GERMAN WMF ART NOUVEAU Silver Plated Pedestal Centerpiece VERY LARGE!! 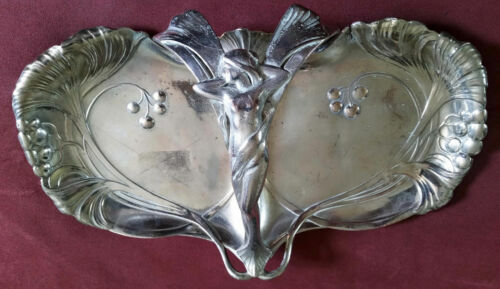 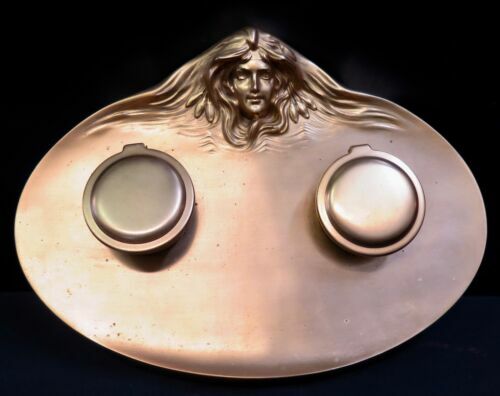 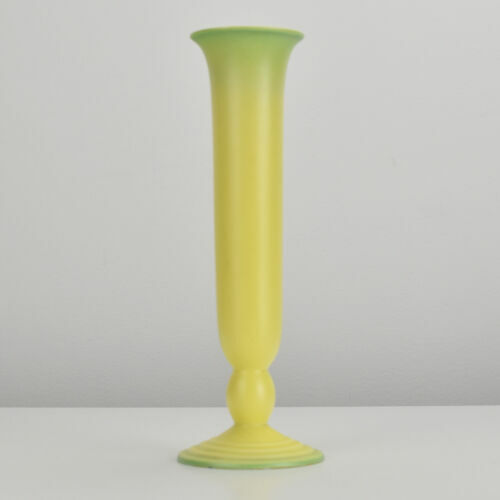 Buy: $424.99 Rare Art Nouveau Antique Victorian Vintage Silhouette Diefenbach Fidus Stamped !